The Maunalani Volleyball club was founded in 2000. The club has been successful both locally and nationally. The Maunalani club has been very successful in developing scholar- athletes and their volleyball skills. 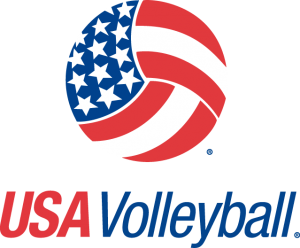 The club has also been successful at the USAV Junior Nationals, earning 2 National Championships, 2 National runner-up plus multiple top 10 finishes in national tournaments. The success the club has enjoyed has come from the hard work, sacrifice and commitment by the scholar-athletes and coaching staff in our program. This year and we are planning on expanding our club while maintaining the quality of the coaching that your daughter will be getting. We are a club with an emphasis on learning both the physical skills of volleyball as well as the mental aspect of the game. This should give your child a better understanding of the “why” of volleyball and what they can do in various situations so that they can become self sustaining players and they can be successful in their other volleyball encounters. The Maunalani Volleyball Club is trying to teach its members how to play volleyball and how to take these skills and use them based upon the differing situations that they face. It is a learning club, they will learn the “how” and different skills, but they will also learn why they are doing certain things so that they can repeat it when they need to because they will know why they are doing it. The club also has a philosophy of helping each other out and to be more than just a team but a ‘ohana. The older members know a great deal and they should interact with the other members of the club to “give back” and to help the others so everyone is progressing together. The club has one coach in charge of their team/age group but we will be doing a “team coaching” concept where all of the coaches in the club, may assist each other in practices. The players may have the opportunity get assistance from more than their just one coach, but from most of the coaches in the club. All coaches in the program are IMPACT certified and will be striving to assist in the growth and development both mentally and physically of the each scholar-athlete. Each team will try to practice two times a week. The practices will be run out of Kekuhaupi’o gym at The Kamehameha Schools. The days of practice may vary due to gym availability, but scheduled practice evenings are Tuesday and Thursday. Supplemental practices may be held on Mondays, Wednesdays as well as weekend days. The weekday on-court practices are in the evening from 6:30pm to 8:30pm due to the various school sports still in season. When teams have games the schedule will be juggled but the monthly schedule will let you know of any known scheduling conflicts. However, strength training and conditioning practices may be held before on-court practice times. All teams will be playing locally in junior tournaments on the weekends and possibly in adult tournaments. The teams are striving to participate in a tournament in the mainland this summer. 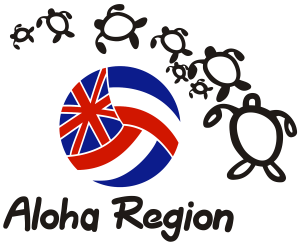 This will give them exposure to volleyball outside of our local teams and to see how volleyball is played outside of Hawai’i. The older age groups (18s/17s) are trying to travel to Las Vegas to play in a tournament this February as well as a trip this summer. Mainland tournaments will be discussed and the travel schedule for your group will be discussed on a team by team basis. The club dues will be collected at the first practice of December (U15-U18) or the first practice in November (U12-U14). All balances must be cleared by January 15th. Club dues/fees are non-refundable. Travel with the club will not be allowed if the player is not in good standing with their fees. These fees do not cover travel and the associated costs of playing in mainland tournaments and local regionals and “special” tournaments. In traveling, the cost of the coach’s travel (airfare/room) will be pro-rated amongst all of the traveling members of the team. This will be dealt in future meetings as the travel time approaches and the payment/deposit schedule will be discussed and presented to the team. We are currently looking into fundraising possibilities to defray some of the cost for travel to the mainland. Because of our non-profit status, fundraising opportunities should be easier to obtain. This is not mandatory, but it will be discussed with your coaching staff during the season.